Addmaster (UK) Ltd has topped a record year for sales with a second Queen’s Award for Enterprise. 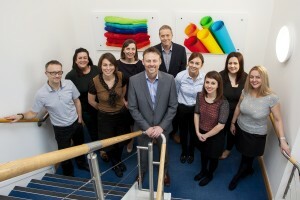 The Stafford-based company is Europe’s leading manufacturer of performance-enhancing additives plastics, paper textile, paints and coatings industries. Paul Morris, Addmaster Founder & CEO says: “We are delighted to win the Queens Award for International Trade for the second time. The Queen’s Awards for Enterprise is awarded to businesses for outstanding achievement and announced annually on 21st April, the Queen’s birthday. The Awards are the most coveted honour among the UK business community. Winners in the international trade category have benefited from strong international growth in overseas earnings and commercial success within their sector. Sales reached a record high for the financial year with both domestic and export markets expanding rapidly. Winners of the Queen’s Awards for Enterprise are invited to attend a reception at Buckingham Palace in July and are entitled to use the prestigious kitemark for five years.